Chances are if you can dream it, Trista Havner can make it. As the owner of Hub City Love, she makes a business out of rescuing forgotten treasures and returning them to their former glory. “No piece of wood, old window, canvas, or even t-shirt is safe with me,” says Trista. If it will hold still, you can pretty much bet she is going to paint it. 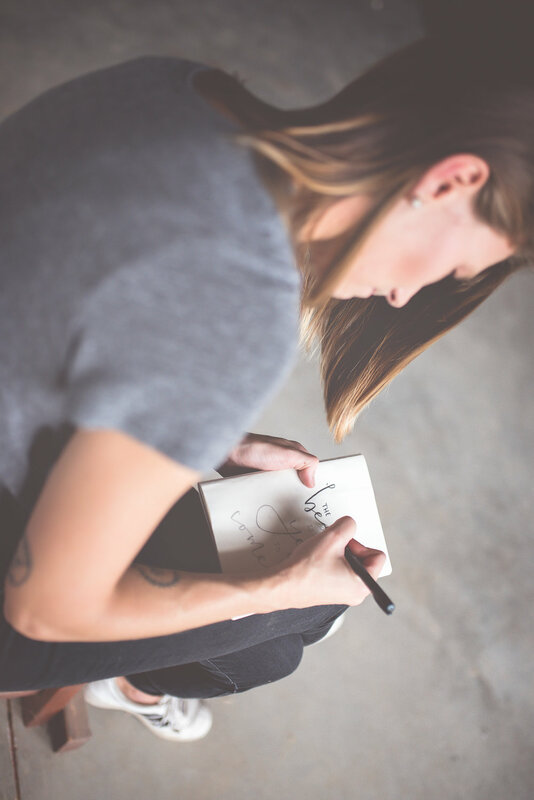 Trista was a teacher by trade in search of a creative outlet. After her children were in bed and her lesson plans were finished she would find herself on the couch teaching herself to hand letter. But what started as a longing to create soon became a business when one holiday season she decided she was going to make everyone’s gifts. 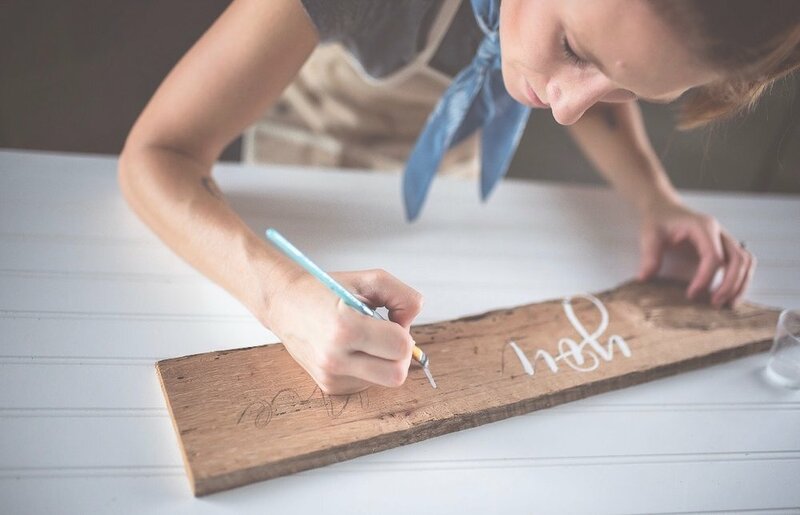 “I wanted to do something more personal and I felt like I was at a level with my lettering that I wouldn’t be totally embarrassed to give someone something with my work on it,” she says, “so I went for it.” Everyone loved their gifts and began recommending customers to Trista for custom orders. After two years of selling out of her home, at markets, and online, she decided to give Hub City Love a storefront in theLOCAL, a micro-retail development for entrepreneurs in Downtown Jackson. It was after opening a store that she enrolled in CO.STARTERS, a 9-week program hosted at theCO that equips aspiring entrepreneurs with the insights, relationships, and tools needed to turn their business ideas into action. One essential element to the program is having a concept that you are ready and willing to share and grow in a collaborative environment. If you’re interested in collaborating with Trista or seeing her products for yourself, swing by her shop, Hub City Love, located at 202 W. Lafayette Street in Jackson, TN or online at www.hubcitylove.com. If you really want to be inspired, follow @hub.city.love on Instagram. You’ll be glad you did. For more information about CO.STARTERS, visit attheco.com/costarters. Photographs by Emily Taylor, Grass Hopper Studios Photography.